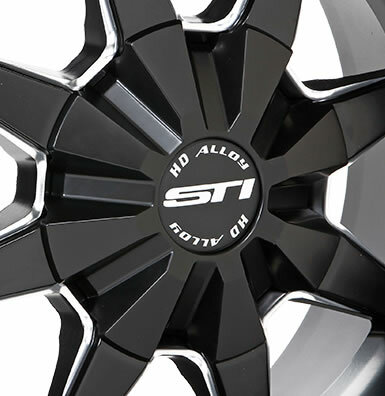 The HD6 is another great design in STI's impressive wheel lineup. 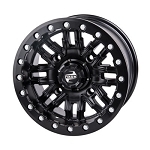 It features an 8 spoke design that is offered in milled matte black, and glossy black machined designs to give your ATV a real custom look. The HD6 also offers an optional full coverage center cap that looks great! 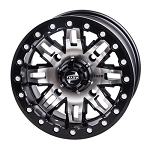 Like all other STI wheels the HD6 is offered in most bolt patterns to fit a huge variety of machines. It's also offered in several sizes to match the style of almost any rider. - Available in 12, 14 & 17 inch sizes. 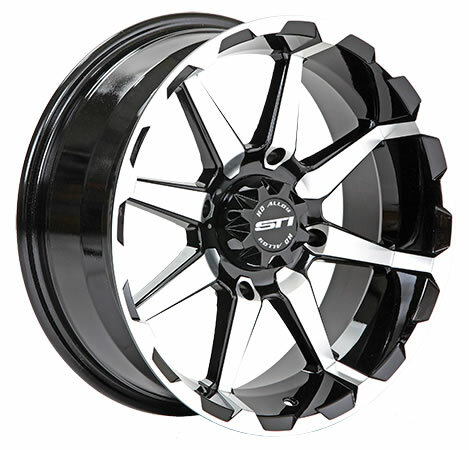 - Standard Center caps included with all HD6 wheels. 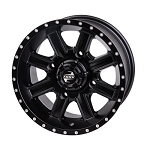 Great wheels, look sharp with the Maxxis Carnivores!